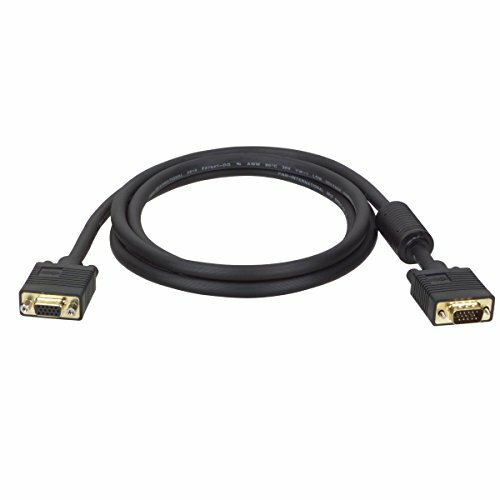 Tripp Lite's 50 foot XVGA/SVGA/VGA monitor extension cable is the gold standard in video cables. The mini-coax (RGB) and paired video wire construction delivers superior signal quality. Gold plated connectors and gold plated copper contacts ensure excellent conductivity. Double shielding (foil and braid) provides maximum EMI/RFI protection. Both the high density DB15 male and high density DB15 female connectors are molded and have integral strain relief to ensure they last a long time. Tripp Lite warrants this product to be free from defects in materials and workmanship for life.